Xiaomi has tasted massive success with its budget Redmi series of smartphones. It has sold 110 million Redmi smartphones globally since the debut of the first Redmi smartphone in 2013. The Redmi 3s and Redmi 3s Prime come with a similar set of specifications except for the fact that the former comes with 2GB of RAM and 16GB of onboard storage and the latter with 3GB of RAM and 32GB of onboard storage and fingerprint scanner. 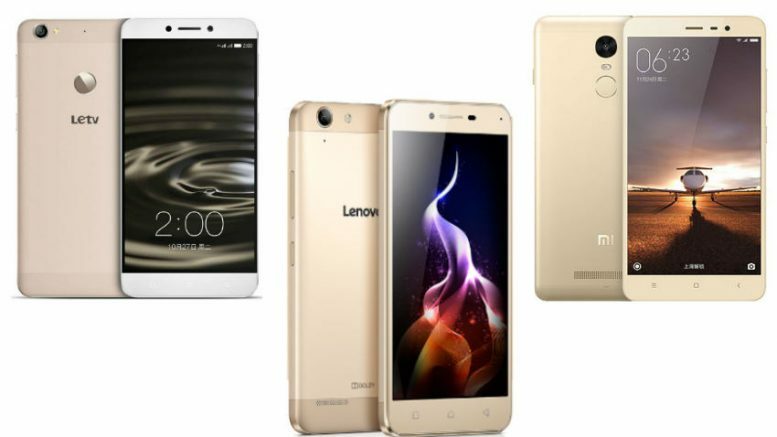 Be the first to comment on "Comparison of Xiaomi Redmi 3s Prime vs Lenovo Vibe K5 Plus vs Coolpad Note 3 Plus"